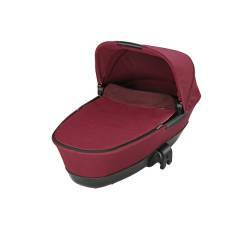 Transport your baby safely and in luxurious style in our choice of contemporary carrycots at Maxi-Cosi Outlet. Crafted from deluxe fabrics in appealing colours, attach one to your pushchair to create a chic modern pram. And it’s not just about making a style statement that will turn heads. During the first six months, lying flat is important for your baby’s correct growth. 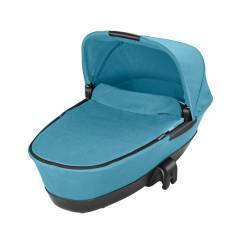 Ensuring your baby is in the lie-flat position, carrycots are also a very comfortable way for your baby to travel. And they provide a soothing, cocooning environment for your baby, sheltered from the weather for the ultimate comfortable ride. 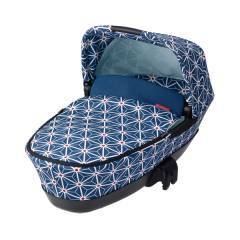 The spacious design makes our carrycots suitable to the age of 6 months (before baby can roll or sit unaided). We’ve equipped them with features to make your first months out and about with your baby a dream. 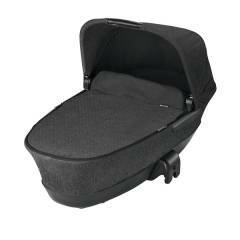 The carrycot will click quickly into place on your travel system compatible Maxi-Cosi or Quinny pushchair. And a memory button means you only need one hand to take it off again for your ease. 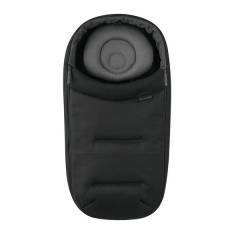 There’s an integrated carry handle in the hood that is comfortable to hold for ease, and foldable sides are convenient for compact storage in the car or when not in use. 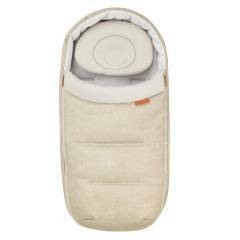 Our Maxi-Cosi carrycots feature deep padded mattresses that are comfortable for your baby. Your baby lies high up, closer to you and facing you for direct eye contact to reassure them you are near. 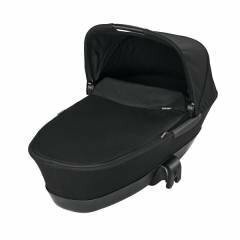 The high sides of the carrycot and foldable hood also create an enclosed environment, where your baby feels safe and is well protected from the weather. This makes it a relaxing place for your baby, to promote better quality sleep when taking a nap out and about.